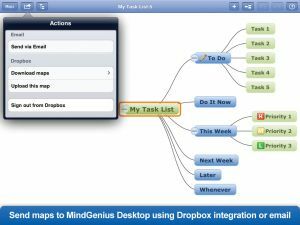 MindGenius for iPad can help you improve your personal productivity and can be used in conjunction with MindGenius for PC. Open maps created in the desktop version and vice versa. 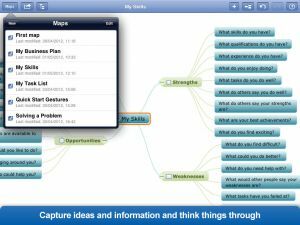 MindGenius for iPad is developed by MindGenius Ltd, developers of leading business mind mapping software for over 10 years. 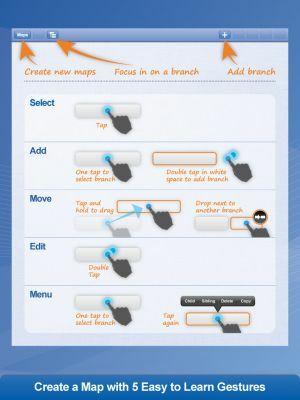 Simple gestures to add and move branches, allowing you to quickly capture and structure your thoughts. 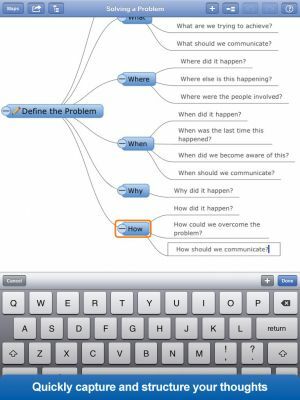 Use Output Tree or Map diagram layouts. Add multiple branches without interruption, initiate Add branch to access the keyboard then simply Type and select ‘+’ to add multiple branches. 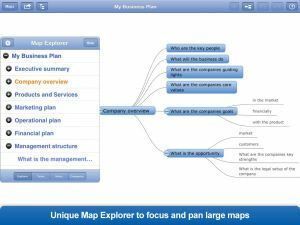 Includes the unique MindGenius Map Explorer which allows you to focus in on any branch in your map to expand and add more detail. Pan mode, extends the navigation capability of the map explorer while browsing large maps. 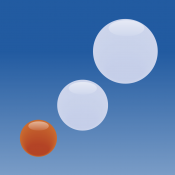 100% compatible with MindGenius desktop; Notes, categories, resources, pictures and action properties are all retained. Send maps between the desktop and iPad using Dropbox integration or email.